Well, haven’t you ever felt that? When you expect something to happen, it may not always end up the way you wanted it to be. Which may be a good thing or a good thing disguised as a bad thing. Now, what does that have to do with giving up? I somehow made up my mind to think that I didn’t need help with anything. Don’t get me wrong, I love giving orders around to my mom, sister, cousins and the Hero of my life (Yes yes my husband) and am sure Tigger (my son) will also be made to do a lot of running around in the name of helping his mom. Every time I found myself physically tired of caring for the baby since he was born, I just couldn’t work up the mindset to ask my mom for help. And if she did it herself, I would plainly refuse her help in the pretext of wanting to get to know the baby better. When the physical exhaustion was becoming easier to ignore, the sleepless nights started playing with my mind and making me a momster (Yes, that should by now be a legit word!) I started overreacting, over analysing and all other over adjectives that are never good for a mom’s brain. But, I was still refusing help. And did I stop there? No. I started blaming everyone else for who I was becoming. It wasn’t until recently, that I realized why I was refusing any help. I just had this huge Ego about being a self-sufficient person. I wanted the world to applaud me for doing it all on my own. If not the whole actual world, I at least wanted some sort of exclamatory sentences from relatives, friends and colleagues. And I got them aplenty. But was it worth it all? Not one bit after a few days. So, why even bother acting all high and mighty and refusing help. Yes, I finally realized I was just being pretentious and that I must give up my EGO and ask for help. Now, if I hadn’t been refusing help, do you think I would have realised how big my Ego was? Or that it’s important to self reflect once in a while to know what kind of human being we are becoming. Especially when there is a tiny human to influence right. EGO – Skip the E and let it GO! So, DO YOU DARE TO REALIZE AND LET GO OF YOUR EGO? Drop in your comments so we can have a discussion about it. Afterall, mommying is easy when you talk about stuff, right? 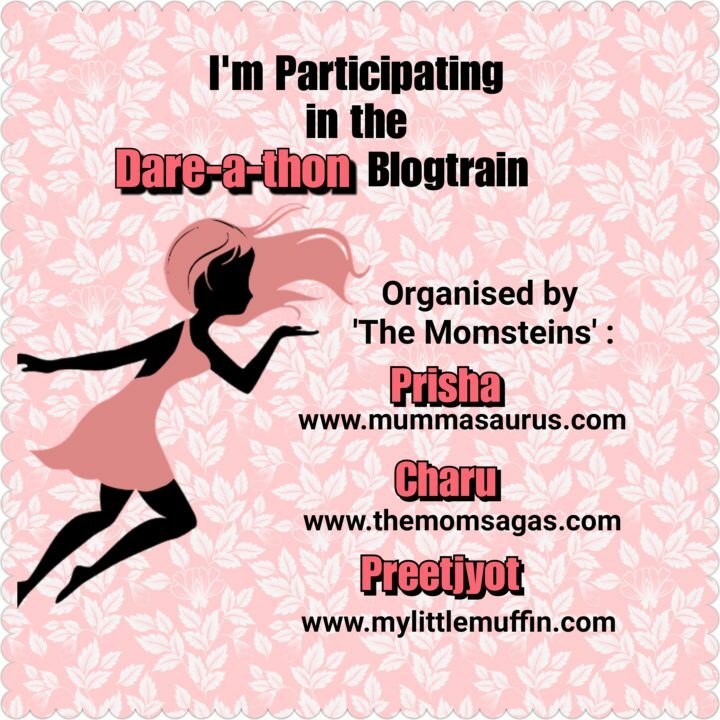 This post is my entry for the Dare-a-thon, hosted by the Momsteins Prisha, Charu and Preetjyot. Thanks to Disha from Life, my way for introducing me in her blog. Disha is an IT professional and a wanderlust by nature. Travelling and reading give her the kind of peace that we all look for. And now let’s head to meet Yogita from Directing My Dreams. Yogita Amit Joshi is a Passionate Writer, poet, and believes in expressing words from heart compositions to genuine reviews. Head to her blog to read her post for Darea-a-thon. Ah! The age old problem of moms! I think there are two categories, one who relies on only help, and do nothing, and the other, whoso not ask for any help at all! But, the balance lies in between…. We all have gone through this stage. So relatable! That sound silly that you forego any kind of help with your newborn. 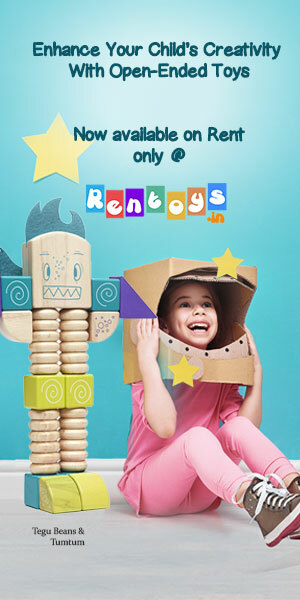 But I get your feelings, motherhood makes all silly like you, me and many more. And truely said, ego needs to go. It takes courage to accept that I had an ego ! And work on it! Kudos to you Sindhuja! Well, I must applaud your bravery for open heartedly accepting this. Also, I don’t think that’s ego. Somewhere all of us want to be that great mom who has it all but better late than never, isn’t it!